The seventh Assassin’s Creed game is now out, and while critical scores have generally been in line with previous games of the series, fan response has been overwhelmingly negative because of the game’s numerous bugs and performance issues. Ubisoft, whose reputation with gamers as of late has been in the sewer, have made the uncommon move of live blogging their attempts to fix Unity‘s bugs. 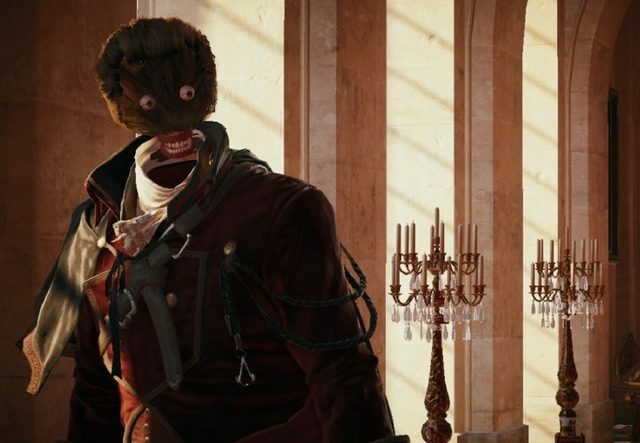 Assassin’s Creed Unity has been mired in controversy well before its launch, starting with the developer’s decision to exclude female characters from the cooperative mode and continuing with news that the game was being capped at 30 frames per second for “cinematic” reasons.” Right. Additionally, Ubisoft refused to distribute review copies to gaming sites unless they agreed to hold off on publishing their reviews until twelve hours past the launch date. Now that the game is actually out, gamers have complained about Unity‘s numerous bugs, which include the player character falling through the floor and getting caught in hay carts, as well as crashing when joining a cooperative game. Performance issues are rife, with the game dipping well below the 30 fps mark on all platforms, and the PC version having the worst of it. The PC version of Unity has an appalling 2.1 user score on Metacritic, while the PS4 and Xbox One versions have 4.6 and 3.4, respectively. The highest rated review of Unity on Steam warns people to avoid purchasing the game, and instead encourages them to report Ubisoft to the Better Business Bureau. Another closely rated review claims that, on a mighty Geforce 780, the game can only manage 2 frames per second on maximum settings. We will be providing additional details in the coming days, so check back for updates. In the meantime, please continue to send us your feedback, and leave a comment if you have any questions for us. Its a relatively bold move for Ubisoft to put their foot down on fixing one of their games’ problems, but it remains to be seen how patient fans will be before the most significant issues are resolved.